Captain Sully Sullenberger, who landed on the Hudson in January of 2009, saving all on board, says investigator, Christine Negroni clearly understand the critically important part the human factor plays in aviation safety. When an air disaster happens, ABC news calls in Negroni in order to report such an event responsibly. 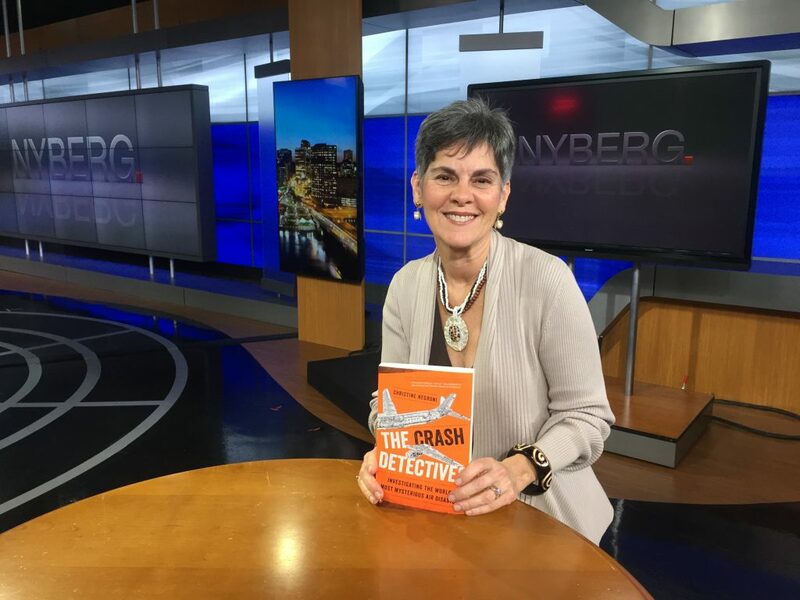 In her second book “The Crash Detectives,” she investigates air accidents which include Amelia Earhart to what caused the downing of Malaysia Airlines Flight 370.